The 2016 Digital Learning Day Live! will explore the state of digital equity in schools and communities across America. Join national and local leaders, educators, and students for a look at how the digital divide is impacting their communities and what they are doing to minimize it. 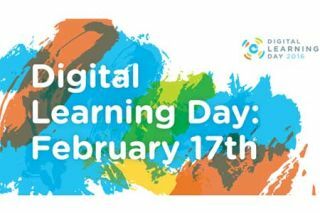 Click here to view the video and schedule of live webcasts, Twitter chats, and other online events and follow #DLDay on Twitter.